After having been stuck with emulating AmigaOS 4.1 FE on a PC for a while, I’ve now gotten hold of an AmigaOne 500 computer from ACube Systems! Bought it second-hand from a user on Amigaworld.net. The computer worked right away and is very fun to tinker with. So now I’ll have some real AmigaOS 4 compatible hardware to review games with in the future. 🙂 Needless to say, this blog will see a lot more activity due to this. Thanks for reading and have a great weekend! I’m currently on OS4Depot downloading lot’s of stuff that I’m going to try on a real system. Emulation only gets you so far. 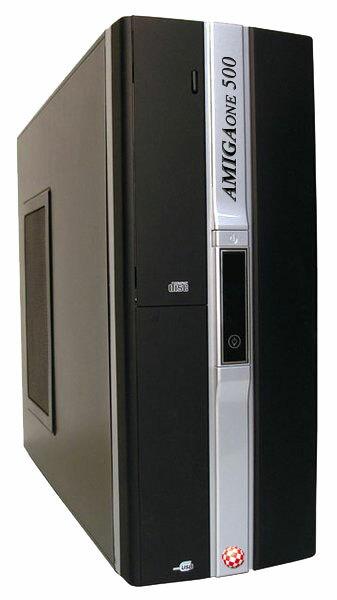 PS: If you’d like to know more about the AmigaOne 500, please have a look at the website of ACube here. It’s a nice machine as I used to own one 😊. What graphics card did you manage to pick this up with?